Truly fragrant and aromatic, enjoy wonderful black cherry with tones of blueberry. The Cognac makes itself known with a touch of vanilla and raisin - but the overwhelming sensations are that of the myriad of sweet cherry. 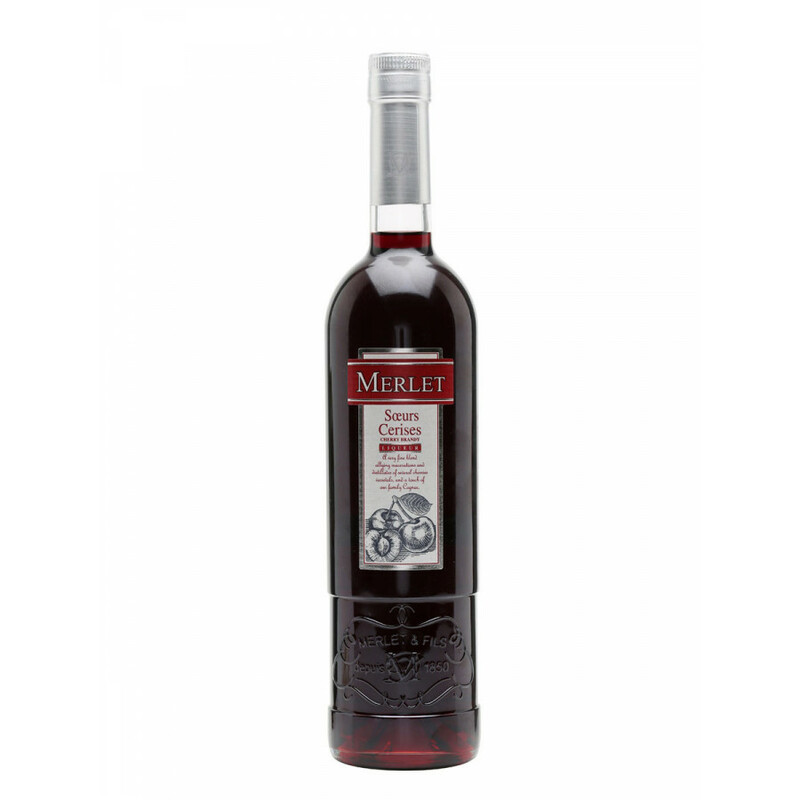 The Merlet Soers Cerises Cherry Liqueur has been created using many differet types of cherry, but with the majority being Morello. After being soaked in alcohol, the resulting cherry juice is blended with Merlet Cognac to create a sweet, powerful liqueur drink. The Cognac adds a subtle alteration to the flavor, but be very sure - the overriding delight is that of delicious cherries - there’s even a touch of violets in there somewhere… Enjoy it cold, on the rocks, or it’s the perfect component for a cherry based cocktail. And at 48% ABV, it’ll certainly add a kick to whatever drink you decide to blend it with.